Brushing your teeth is one of the best things you can do to to maintain excellent oral hygiene. Doing this simple task twice a day-- along with flossing, mouthwash, and using a Brushee-- does so much to keep our mouth, gums, and teeth happy and healthy. Unfortunately a lot of people are not brushing properly-- and could be doing more harm than good. Dentists agree that proper oral maintenance is essential to keep teeth strong, gums healthy, and contributes to overall better breath. In this article, we’re going to go over 8 bad brushing habits that you should stop doing immediately. If you have any additional questions or concerns about your brushing technique-- make sure you talk to your dentist. One of the easiest mistakes to make when it comes to brushing your teeth is keeping a toothbrush for too long. We all get into routines, and sometimes it’s hard to notice when it’s time to replace something you use everyday like your toothbrush. It’s easy to see when it’s time to replace your computer or your phone-- they eventually stop working correctly and become an annoyance. If only it were as easy to know when it’s time to replace your toothbrush! Sometimes there are signs of wear and tear-- like frizzy bristles or a discoloration. But sometimes-- even when your brush looks just fine-- it might be time replace it. Dentists recommend replacing them about every 3-4 months. This ensures that you’re using a good brush to keep your teeth clean-- one that’s free of old debris and bacteria. Make sure to replace your toothbrush every 3-4 months to help keep your mouth healthy. Another all too common mistake that people do when brushing their teeth-- they simply do not brush for long enough. When you’re rushing out the door in the morning-- or getting ready for bed at night-- you might not think that it matters all that much to brush for the full two minutes. This is the ideal amount of time recommended by dentists to remove plaque, bacteria, and food debris that have accumulated over the day-- or during the night. Most adults only brush for around 45 seconds-- and this is not nearly long enough. An easy way to know if you’re brushing long enough is to try and do it to a song on the radio. Most songs are the length of time you should be brushing your teeth for. If you’re not, not try timing it and see if you can think of any another way for you to know when enough is enough. You may have heard that it’s a good practice to brush your teeth after each meal. While this is good advice-- it should be followed by the fact that you should wait at least 60 minutes after you finish eating to brush your teeth. 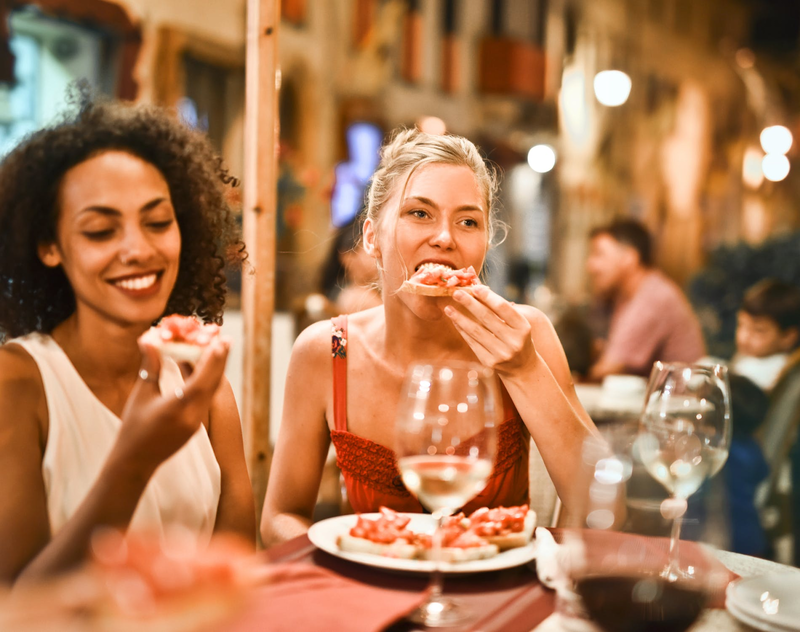 Brushing right after you finish a meal can cause small particles of enamel-- that may have come loose while you were eating-- to be washed away. If this is done over a long period of time, it can lead to painful tooth sensitivity. Once you’ve waited about and hour-- feel free to brush your teeth and remove any bits of food still present. While your normal toothbrush and toothpaste can take care of this-- it’s even easier to do with a Brushee-- especially if you’re away from home! Wait at least 60 minutes before brushing your teeth after you eat. Dentist also recommend limiting the snacks you have during the day as well. Sometimes we think that by scrubbing extra hard, we’ll be able to keep our mouth and teeth cleaner. This simply is not true-- in fact brushing too hard and using a hard toothbrush can cause damage to your gums. The American Dental Association agrees that a soft bristled toothbrush is the correct type of brush for people to safety use. A harder toothbrush can cause pain-- and even lead to bleeding gums. A softer brush will do all the same work that a harder bristled one will-- and will not damage your teeth or gums. Soft brushes are especially good for those people who have sensitive gums-- but it is also recommended for everyone to use, especially where their gums and teeth meet. Remember to use your soft bristled toothbrush to brush for the full 2 minutes! Don’t forget to clean the inner parts of the teeth-- especially those in the back! By using this method, you are more likely to remove food and plaque from in between the teeth-- as well as all around them. Just like it is not a good idea to have a toothbrush with hard bristles-- it’s also never a good idea to brush your teeth and gums forcefully. If you’re noticing blood on your toothbrush-- or feel that your gums ache in some way-- you may be brushing too hard. Dentists recommend that we are gentle with our teeth and gums-- and never brush too hard. Scrubbing hard may work when you’re cleaning the kitchen floor, but it is not a good idea to scrub hard on your teeth. Long-term hard brushing can lead to enamel wear, receding gums, and increased tooth sensitivity. Those are some serious-- and painful-- problems that can easily be avoided by using soft, gentle strokes on your teeth. Try to keep your toothbrushes as far away from the sink and toilet as possible to avoid contamination. 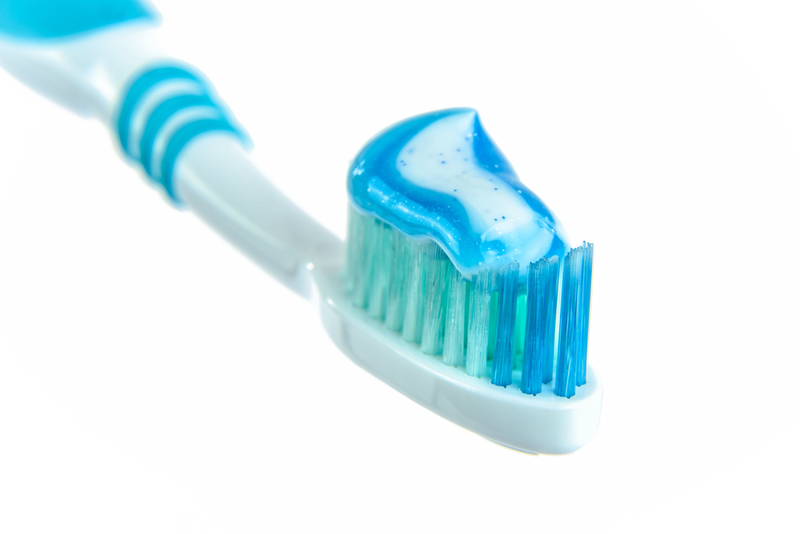 It’s important to care for your toothbrush so it can continue to help you maintain good oral health. Once we’re done brushing, it’s easy to forget about them-- but where and how we store them is also very important. It is recommended that you do not store them in a closed container-- that makes it easier for bacteria to grow in the wet environment. Instead, make sure they are upright with access to ventilation-- this allows them to dry quickly. Also, make sure to keep your brush holder as far from the toilet and sink as possible. 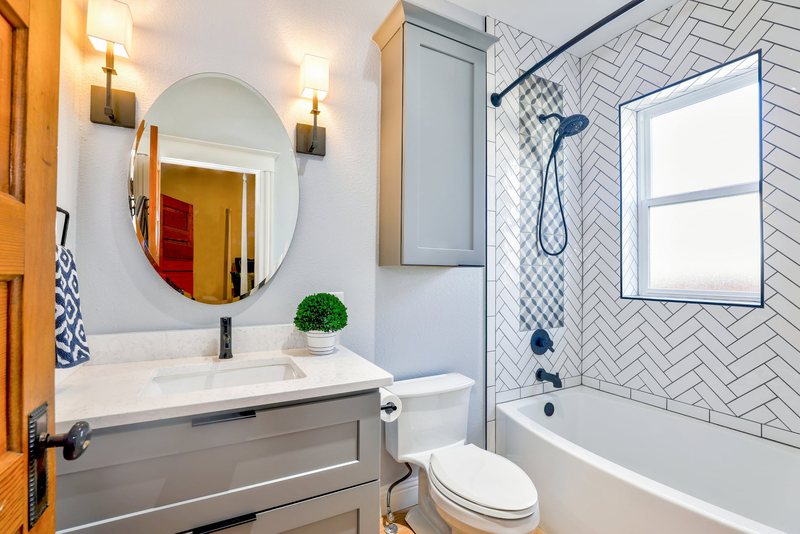 You don’t want dirty water from hand washing splashing on them-- nor do you want microbes released from toilet flushes to reach the bristles easily. If you have a smaller bathroom, consider installing a wall mount to hold the brushes away from the sink and toilet. Don’t forget to keep the toothbrush container clean as well. This surface is exposed to a lot of dust and debris-- make sure to wipe it down or wash it to keep it clean. Everyone’s mouth is different-- and everyone has different dental situations-- what’s a good brush for one person, isn’t necessarily the best choice for another. Most people have a preference between manual and electric toothbrushes. Manual brushes work just fine-- as long as you are brushing properly and for the correct amount of time. There are different types of heads to choose from-- depending on the size of your mouth, and what feels comfortable to you. There are even brushes that come with ergonomic handles and no slip grips for added comfort. Some people find it easier to use an electric toothbrush-- as they like how convenient it is to have a brush that moves in many different directions very quickly. They also tend to clean harder to reach areas more consistently. Electric toothbrushes also tend to have smaller heads-- so they are better at cleaning individual teeth. But just like a manual toothbrush, the heads of an electric one will need to be replaced as well. There are many different kinds of toothbrushes available-- so make sure to talk to your dentist if you are unsure which one would be best for you. It’s extremely important to brush your teeth properly-- it keeps them healthy and contributes to overall good oral hygiene. If you have any of these brushing bad habits, make it a point to try and kick them this year! Did we miss any bad brushing habits? Let us know in the comments!